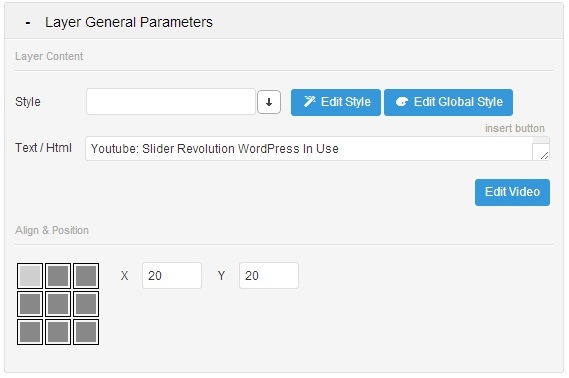 How to set up Video Layers in Unite Revolution Slider? 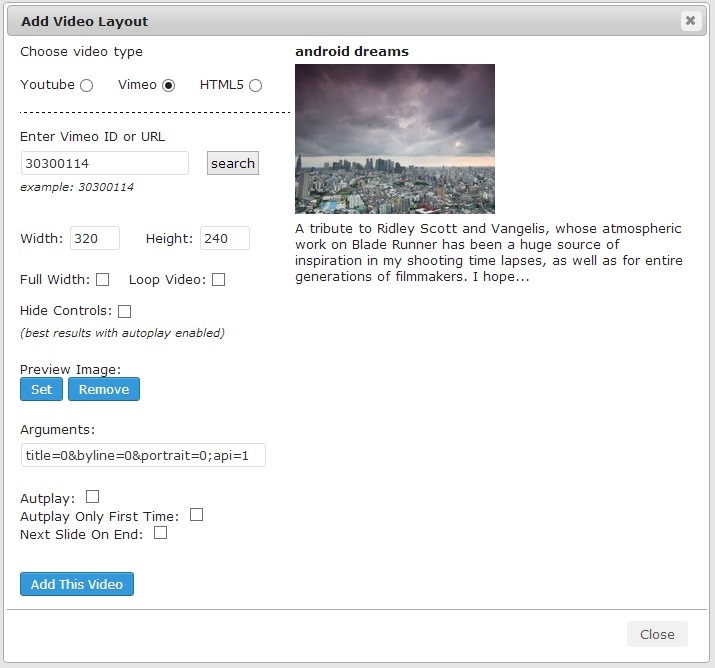 Have a look at this screenshot, select the “Add Layer: Video” option for individual Video Layer. Select this option if you wish your video to be automatically looped. Click on the Set button to set this option, the video will have an overlay, the image will be cropped automatically at the output to fit the video size. When you click on the image, it will vanish and start your video. If set, the video will play automatically only the first time the slide is shown! Set this option if you wish next slide Transition starts automatically after the video has been played. Please enter sources of the video here, MP4/WEBM, OGV Sources should be added with Absolute Link. It’s the Basic Width and Height of the Iframe Embedded Video in the Slider. Set this option if you want the video to not display control buttons. Please use the Style Drop Down list to define a predefined Style or add your own Style. And use the Embedded CSS Editor if you want to change the Styling of the captions / Layers. Use HTML5 Standard markups to embed headings, paragraphs, buttons, etc. By default, The Captions have the white-space: nowrap. For line breaking, or add different layers for multiple lines, please use <br>. Add the Video Layer to open the Dialog Window. Set the Align of the Layers / Captions here. If this option is not set, it will be left top by default. 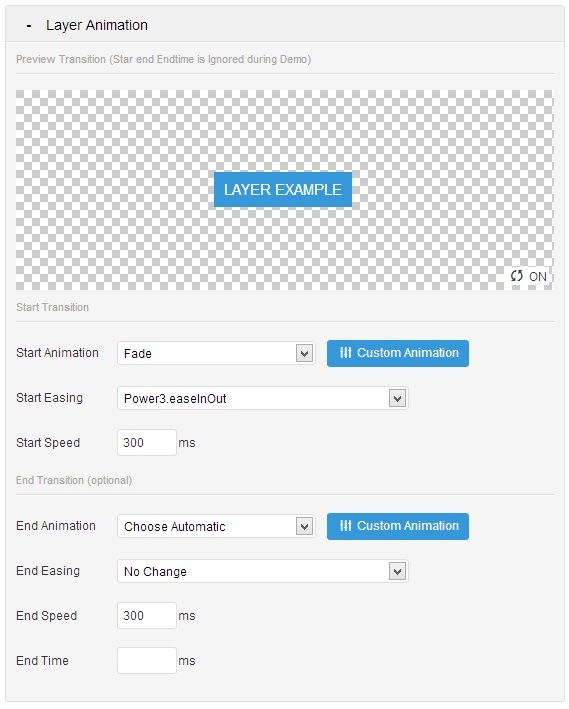 Set the way that the Caption appears on the screen by select one of three options: Animation, Easing, and Speed. The Reverse Animation will be used as set in the Start Transition if it isn’t set. This option only works if Background Color has been set for Caption. 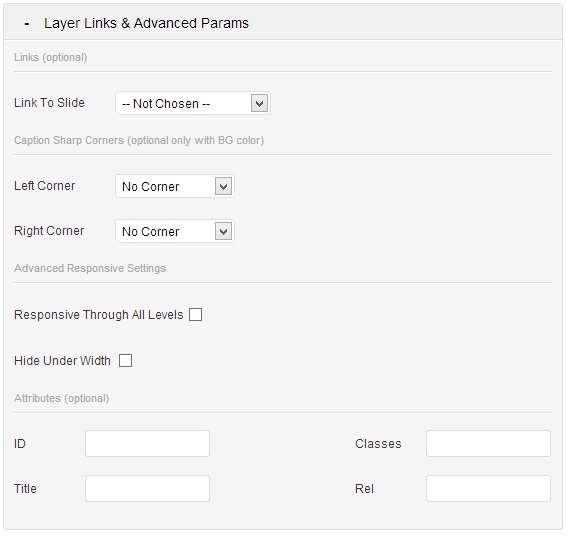 If this option is set, all HTML Containers within this Caption are resized linear to Slider Sizes. 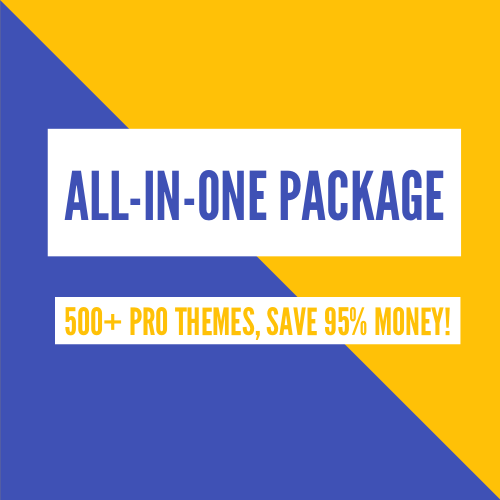 Hide Caption under a certain width. Set extra attributes into the caption, like extra classes, title, IDs.